The driving season is coming to an end and you’re getting ready to put your classic vehicle to bed for the winter season. However, storing a car battery for an extended time isn’t the same as putting your cordless drill back in the toolbox, expecting it to perform without any problems the next time you need it. Leave a Comment on Getting ready to put your classic to bed for the winter? Give the battery some attention before saying goodnight. The Mint 400 announced today the return of ODYSSEY® battery as title sponsor of Tech & Contingency. This year, the ODYSSEY® battery Mint 400 Contingency has expanded to two full days to accommodate the four hundred race teams and 100+ vendors that make up The Great American Off-Road Race. Frigid temperatures and harsh conditions can wreak havoc on your vehicle, including the battery. 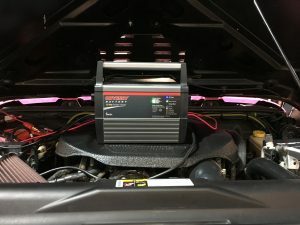 To ensure you don’t have any issues with your vehicle’s battery this season, learn how to properly care for the battery, and what benefits the Absorbed Glass Mat (AGM) technology used in ODYSSEY® batteries, can provide. READING, Pennsylvania, September, 2017 – EnerSys® (NYSE:ENS), the manufacturer of ODYSSEY® batteries, will showcase Road Hauks custom-built Bootlegger vehicle in its ODYSSEY® battery booth no. 24875 at the 2017 Specialty Equipment Market Association (SEMA) Show. The SEMA Show will take place October 31-November 3 in the Las Vegas Convention Center, Las Vegas, Nevada. Our line of all-digital portable chargers features cutting-edge design elements like weatherproof housing, fully-automatic six-stage charging and more. Their professional grade performance, quality and speed make them among the best on the market. We asked our in-house battery charging experts to weigh in on commonly-asked questions. What sets ODYSSEY® battery portable chargers apart from the competition? 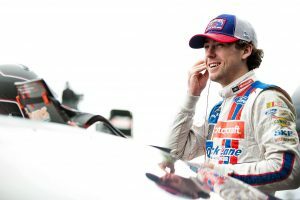 When Ryan Blaney won his first race at age 9, not many people were surprised. After all, his father is NASCAR driver Dave Blaney and his grandfather is sprint car legend Lou Blaney. Racing is in his blood.